WE MODEL CO., LTD - WEI-YI Stell Mold Co., Ltd.
WE-F003-MK25-A gun exclusive to Navy Seals for launching attacks !!! WE-F226-E2-A vintage gun made new for today’s market !!! 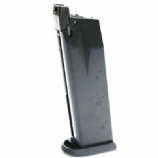 WE-Ultra Compact 3.8 (With Magazine & Adapter) BK-A must have gun to impress gun enthusiasts !!! 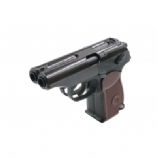 WE-Ultra Compact 3.8 (With Magazine & Adapter) TAN-A must have gun to impress gun enthusiasts! WE ACE.V.D. GBB Guns Now available !!! WE-M4 Magazine (Version 2) Black / Tan-Hot release!! !